Want to Be The #1 Choice for The Job You Want? You’ll gain a sharp, competitive edge by leveraging my credentials as a multiple award-winning executive resume writer and former recruiter. I’m Laura Smith-Proulx, 11-Time Certified Executive Resume Writer, resume writing expert, and LinkedIn authority. Globally known for my executive resume writing expertise, I’ve been quoted in TIME, Forbes, CNBC, Wall Street Journal, Recruiter.com, CNN, CIO.com, and other media on resume writing, LinkedIn, and job search. When you work with me as your executive resume writer, you gain access to a wealth of business insight from an experienced recruiter – leading to job offers and interviews. My clients work at Amazon, Intel, Tyson, Dow, Oracle, PwC, Microsoft, Samsung, Marriott, Ernst & Young, & other Fortune-ranked corporations – plus startups, SMB, private equity, and boutique firms in healthcare, non-profit, manufacturing, high-tech, CPG, services, scientific, education, and other industries. 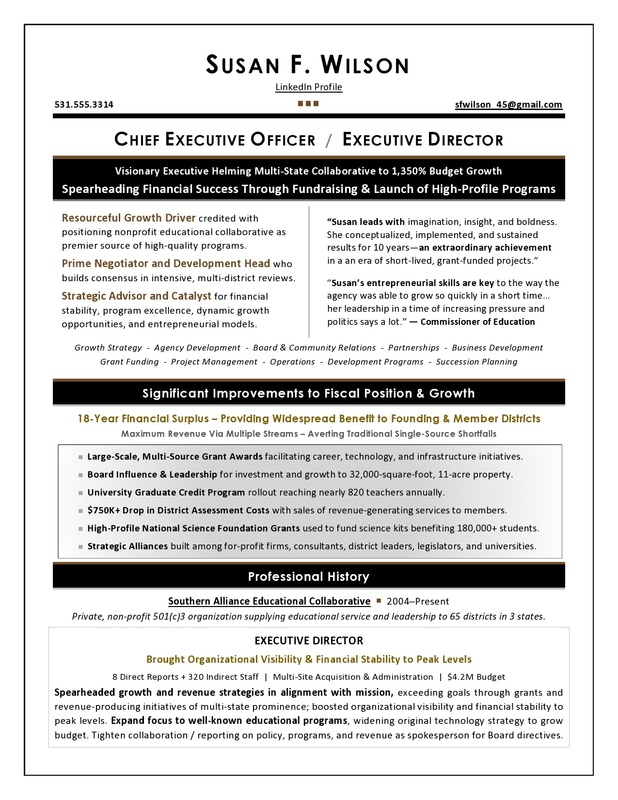 I partner with C-Suite, EVP, VP, Director, and other executives (listed here) to provide superior quality executive resume writing services, personal branding, LinkedIn Profiles, and job search coaching. You can rest assured you’re collaborating with the BEST – a top executive resume writer who blends a lifelong passion for writing with recruiting expertise, global recognition, and master-level credentials held by few executive resume writers worldwide. My resumes have won interviews for 20+ years! Discuss your needs with me personally. Why should you consider my executive resume writing service over other resume writers? I offer you the inquisitive mind of a journalist and the analytical thinking of a technology leader, combined with extensive training in executive resume writing. This enables me to brand your unique background by focusing on your strategic contributions. The result? You’ll be persuasively marketed as THE solution to the needs of hiring managers. My clients get more opportunities at top Fortune-ranked companies and new ventures in emerging industries, using an expertly crafted resume. You’ll gain top ROI from the exacting standards of quality and precision applied to your materials, reflecting my acumen as a global executive resume writer and industry authority. Referrals from past clients form 85% of my business–and I’ve gained a high satisfaction rate. As the most published resume writer in Colorado, my work has been featured in 12 career bestsellers, 200+ resume writing articles, and 60+ media sources, including Forbes, BBC Capital, Time, SmartBrief, CIO.com, and The Wall Street Journal. Reviews of my work are published on LinkedIn and at Laura Smith-Proulx Reviews. In addition, I walk my talk: as a social media and branding expert, I’m able to educate you on the top strategies for using Twitter, LinkedIn, and other online tools to further your job search. Set a no-obligation call with me to launch your successful transition! Award-winning resume writer honored internationally for 11 years! Partner with me or ask questions by contacting me to set a no-obligation call. I welcome the opportunity to hear about YOU! View samples and results of my work with leadership and IT candidates, and the Laura Smith-Proulx Awards, Review, & Media page. Laura Smith-Proulx’s reviews can be found on the Reviews page. Executive resume writer and LinkedIn expert Laura Smith-Proulx partners with CEO, CFO, CNO, COO, CIO, CTO, CISO, CMO, EVP, Director, VP, and other leaders throughout the Americas, Europe, and APAC to win choice jobs. Get a compelling executive brand that captures interest from top employers from the #1 TORI award-winning executive resume writer and an 11-time credentialed resume expert.